painter, ceramic artist, muralist, and sculptor. Jordi Bonet (7 May 1932 – 25 December 1979) was a Spanish-born Canadian painter, ceramist, muralist, and sculptor who worked principally in Quebec. Born in Barcelona, Spain, he lost his right arm at the age of 9. His childhood would be marked by the Spanish Civil War. He studied art in Barcelona. He began working in paint and ceramic before expanding his focus to include metal and concrete reliefs. Concrete, usually Portland cement concrete, is a composite material composed of fine and coarse aggregate bonded together with a fluid cement that hardens over time—most frequently a lime-based cement binder, such as Portland cement, but sometimes with other hydraulic cements, such as a calcium aluminate cement. It is distinguished from other, non-cementitious types of concrete all binding some form of aggregate together, including asphalt concrete with a bitumen binder, which is frequently used for road surfaces, and polymer concretes that use polymers as a binder. He emigrated to Canada in 1954, establishing himself in Quebec, where he continued his studies. After briefly returning to Spain, he established an atelier in Mont-Saint-Hilaire in 1960. Over the next 20 years, he created more than 100 works in Quebec and abroad, and associated with major art figures such as Salvador Dalí. Mont-Saint-Hilaire is an off-island suburb of Montreal in southeastern Quebec, Canada, on the Richelieu River in the Regional County Municipality of La Vallée-du-Richelieu. 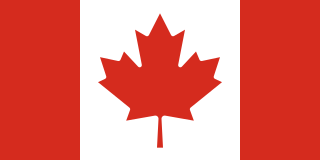 The population as of the Canada 2011 Census was 18,200. The city is named after the Mont Saint-Hilaire. 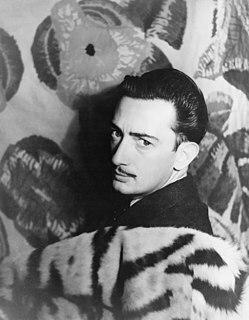 Salvador Domingo Felipe Jacinto Dalí i Domènech, 1st Marquis of Dalí de Púbol, known professionally as Salvador Dalí, was a prominent Spanish surrealist born in Figueres, Catalonia, Spain. In 1964, he was commissioned by the Government of Sierra Leone to deliver the mural which can still be seen at the front of the Bank of Sierra Leone building, in the capital, Freetown. His signature is situated at the bottom right-hand of the mural, with the words "Jordi Bonet '64"
The Grand Théâtre de Québec is a performing arts complex in Quebec City, Quebec, Canada. It was conceived to commemorate the Canadian Centennial of 1967 and the Quebec Conference, 1864, one of the key meetings leading to the Canadian Confederation of 1867. Claude Péloquin was a Québécois poet, writer, singer, songwriter, screenwriter, and director. He was one of Quebec's major artists when he died of leukemia at the age of 47. The Sonia Shankman Orthogenic School, also known simply as the Orthogenic School or informally as the O'School, is a residential treatment center and therapeutic school for children and adolescents typically classified as emotionally challenged. The Orthogenic School specializes in the treatment of youth and help them with their behavioral and emotional problems. 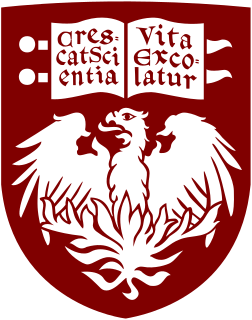 The school is located on the campus of the University of Chicago (UC). The school works with many schools and universities, and has affiliation with several Chicago area schools including the Family Institute at Northwestern University, the School of Social Service Administration of the UC, and the Jane Addams School of Social Work of the University of Illinois at Chicago. The Halifax Explosion Memorial Sculpture was a work of public art in Halifax, Nova Scotia created in 1966 by the Quebec artist Jordi Bonet to commemorate the Halifax Explosion. The sculpture was located at the Halifax North Memorial Library but was dismantled in 2004 by the Halifax Regional Municipality and accidentally destroyed while in storage. Jean-Paul Mousseau was a Quebec artist. He was a student of Paul-Émile Borduas and a member of the Automatist school. He was a founding member of the Association on Non-Figurative Artists of Montreal. He designed murals for the Hydro-Québec building and the Peel Metro in Montreal. Arthur Lismer, CC was an English-Canadian painter and member of the Group of Seven. He is known for his paintings of ships in dazzle camouflage. Miyuki Tanobe is a Japanese-born Canadian painter, based in Montreal, Quebec. Represented by Galerie Jean-Pierre Valentin, she is known for her paintings of the everyday life of Montreal residents. 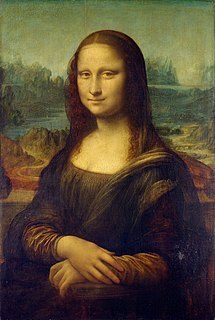 Her work is in the collections of the Montreal Museum of Fine Arts, the Musée du Québec, Lavalin, Pratt & Whitney, and Shell Canada, and Selection du Reader’s Digest. She is a member of the Royal Canadian Academy of Arts. Pie-IX station is a Montreal Metro station in the borough of Mercier–Hochelaga-Maisonneuve in Montreal, Quebec, Canada. It is operated by the Société de transport de Montréal (STM) and serves the Green Line. It is in the district of Hochelaga-Maisonneuve. The station opened on June 6, 1976, as part of the extension of the Green Line to Honoré-Beaugrand station, in time for the 1976 Summer Olympics. Marc-Aurèle de Foy Suzor-Coté was a French Canadian painter and sculptor. He was one of the first native-born Canadian artists whose works were directly influenced by the Old World's Impressionism of the 1860s. Marcel Barbeau, was a Canadian artist. Claude Vermette R.C.A. is a Canadian ceramist and painter who was born in Montreal, Quebec, August 10, 1930 and who died in Sainte-Agathe-des-Monts, April 21, 2006. Artist of international reputation, he made important contributions to the ceramic arts in Canada, especially in the field of architectural ceramics of which he is considered a pioneer. André Fauteux is a Canadian artist born in Dunnville, Ontario, Canada on March 15, 1946, who now lives in Toronto, Ontario. Fauteux is a sculptor known for his abstract welded steel sculpture, which relates to Geometric abstraction. His modernist sculptures are also related to the Formalist ideas associated with Clement Greenberg. Clarence Alphonse Gagnon, R.C.A., was a French Canadian painter, draughtsman, engraver and illustrator, from the province of Quebec. He is well known for his landscape paintings of the Laurentians and the Charlevoix region of eastern Quebec. Bill Vazan is a Canadian artist, born in Toronto, Ontario in 1933. He studied Fine Arts at the Ontario College of Art in Toronto, and at the École des beaux-arts in Paris. In 1970 he graduated with a B.A. from Sir George Williams University, now Concordia University, in Montreal, Quebec. He currently lives and works in Montreal. Since 1982 he has taught at the Université du Québec à Montréal. Vazan is internationally known for his land art creations, sculpture, painting and photography. His work has been widely exhibited in North America and abroad. He was made a member of the Royal Canadian Academy of Arts. The Reial Acadèmia Catalana de Belles Arts de Sant Jordi is a Catalan art school located in Barcelona. The president is the architect Jordi Bonet i Armengol. Maurice Galbraith Cullen was a Canadian landscape artist known for his winter landscapes. Alfred Laliberté was a French Canadian sculptor and painter based in Montreal. His output includes more than 900 sculptures in bronze, marble, wood, and plaster. Many of his sculptures depict national figures and events in Canada and France such as Louis Hébert, François-Xavier-Antoine Labelle, Adam Dollard des Ormeaux, and the Lower Canada Rebellion. Although he produced hundreds of paintings as well, he is chiefly remembered for his work as a sculptor. Joseph-Émile Brunet (1893–1977) was a Canadian sculptor based in Quebec. His output includes more than 200 monuments in bronze. Many of his sculptures depict national figures and events in Canada. He was born in Huntingdon, Quebec in 1899. He was educated at archbishop school, the Art Institute of Chicago, and the national superior École des Beaux-Arts of Paris. Napoléon Bourassa was a prominent Canadian architect, painter and writer whose offices were located in Montreal, Quebec. Gilles Boisvert is a Canadian artist and sculptor. Valentin Gallery is an art gallery in Quebec. Created in 1934, it was first called "L'Art français" and had its start on Laurier Street in Montreal. Owners Lucienne (1900-1992) and Louis (1890-1956) Lange initially showed works by French artists. By the 1940s they were offering art by Marc-Aurèle Fortin and Philip Surrey. In 1975, Jean-Pierre Valentin purchased the gallery. The gallery moved to its present Sherbrooke Street location later and changed the name to Valentin Gallery. Greta Dale (1929–1978) was a Canadian mural sculptor who executed numerous public and private commissions in Canada and the United States, including the mural in the lobby of the Centennial Concert Hall in Winnipeg, Manitoba. ↑ "Members since 1880". Royal Canadian Academy of Arts. Archived from the original on 26 May 2011. Retrieved 11 September 2013. 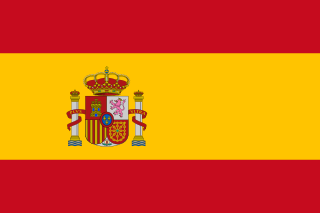 Wikimedia Commons has media related to Jordi Bonet .